Mobile phones are important gadgets to share information including finance-related matters. On the same note, mobile phones with the right basic mobile applications, they can be great partners in daily transactions. For web-based marketing, phones are significant wherein customers can browse to different websites through their phones to purchase items online. Other complex phone transactions include SMS text message payments and mobile applications that can change the phones into bar code readers or credit card scanners. Some mobile applications can transmit payment data to vendors or retailers with more than single tap. For any activity between the mobile phone and computer that involves money transfer, it can be considered as mobile transaction. Mobile phones nowadays can do more than making and receiving calls. The basic function of a mobile phone is to transmit, keep, and receive data or information. Some advanced mobile activities include real-time transfer of information using wireless broadband connections. Huge companies, particularly banks, have developed mobile apps for mobile payment activities. The clients or customers are permitted to download some account data through phones. There are some features that can check balances and transfer money, and do payment transactions. There are many vendors who created mobile applications that allow customers to make orders and pay for the items through their phones, either with a credit card or SMS payment transaction. “Chipping” a mobile phone refers to data storage in the integral memory of the mobile phone where customers can interact directly with the vendors. For any direct phone purchasing transaction, chipped phones use a technology where the user taps her mobile phone against the cashier’s bar code scanner to pay for the goods. Some mobile applications also use password or PIN to finalise the transaction for security reasons. 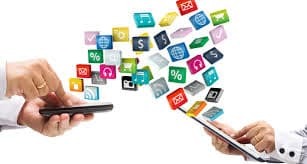 Other mobile business apps are created that allow mobile phones to do some functions such as starting cars, turning on and off some electrical appliances, unlocking some buildings, and more. Mobile applications development is surely a challenging and busy world of discovering new systems and applications to help individuals, businesses, and marketers around the world. However, the more and complex features that the newer versions of smartphones have, the more issues on security are coming out. Bank access points, credit card information, and personal data must have strong security systems or apps to be safe from being intercepted or hacked, particularly when phones are stolen or lost. Secured mobile activities will gain confidence and trust from the users, as well as the companies and businesses that use the gadgets and apps. Apptiv Digital Mobile Application Development has reliable and efficient team of mobile developers who can help users in determining the mobile applications that they basically need. Press here to contact Apptiv and discuss how we can help you develop your mobile app solutions.